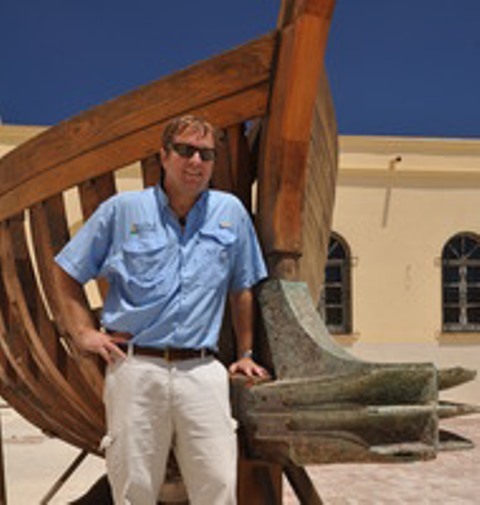 Jeffrey Royal is Director of the RPM Nautical Foundation, and affiliated with the Program in Nautical Studies at East Carolina University; he holds his degrees from Texas A&M University (Ph.D.), the University of South Carolina and the University of North Carolina. He is Director and Co-Director of a number of coastal survey projects (Tunisia, Croatia, Montenegro and Albania, among others), and his current research interests include nautical warfare of the Mediterranean (4th to 1st century BCE), Greco-Roman trade along the Illyrian coast, and the development of ship construction in Roman and late Antique periods. Dr. Royal is the AIA McCann/Taggart Lecturer for 2013/2014.